It’s grey here today, the sun hasn’t peeked out yet. Add to that the usual challenge of getting moving on Monday and I needed a boost to get going. Sparky Juice to the rescue! 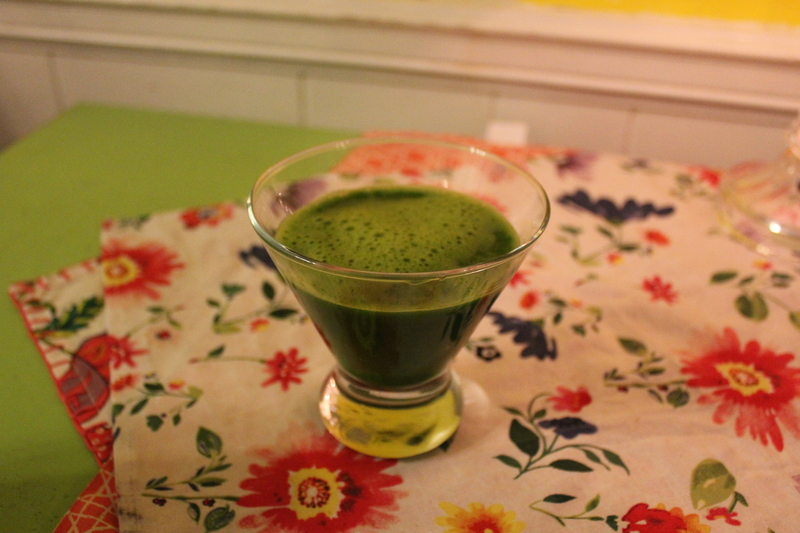 I’ve got a green juice recipe to share, one that is sure to get you moving. This is a more savory juice than most that I drink but I have to say I love the spice. When I started drinking green juice, I tried to hide the green, bitter flavors with sweet, fruit juices. This juice has helped me add a different flavor profile to my juice repertoire. It’s also loaded with folic acid and magnesium, plus lots of phytonutrients, all things that give me a BIG boost in energy and mood. Take that, grey Monday! New to juicing? There are a few resources here, including another juice recipe, in a post I wrote about juicing last year. 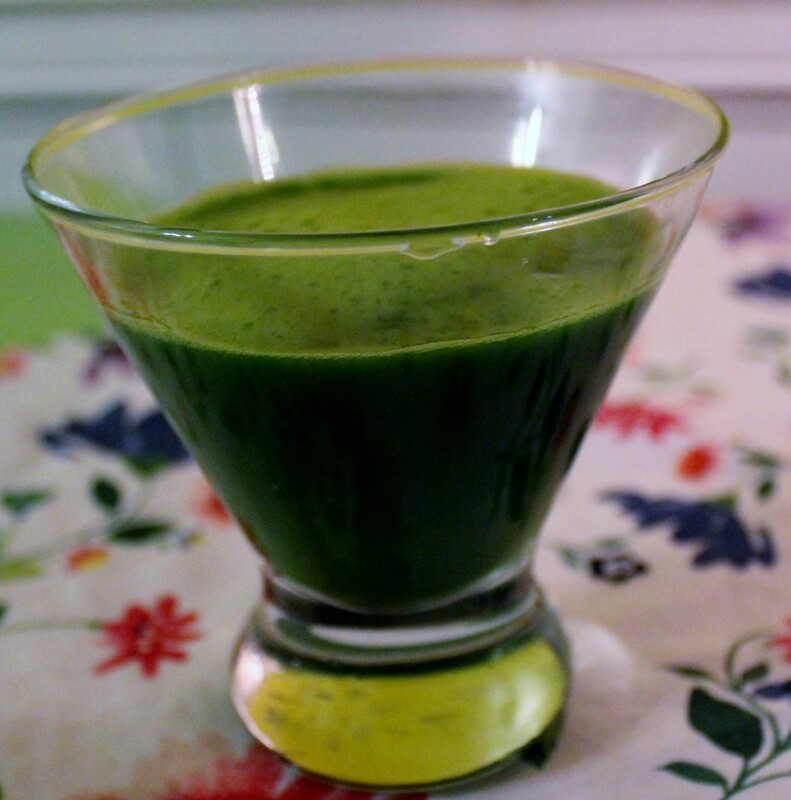 Green juice has been a vital addition to my diet and has helped me over several health hurdles. And now I actually crave it! How about you? Do you juice? Scared to try it? Curious? I’d love to hear your thoughts on green juice! Juice all ingredients and strain if desired. Adjust the heat of this by adding part of an jalapeno or make it super spicy using the entire jalapeno, seeds and all! One last quick note…I am often asked what juicer I use. I like the Hurom Snow White. I did not invest in it initially, I started with an inexpensive juicer until I knew juicing would be something I did often. It’s ok to start with what you have until you know juicing is something you would like to do often, then consider purchasing an investment model. Happy juicing! Jalapeno?! Sparky indeed! 😉 Have a good week, Johnna! Yes, jalapeno! I had no idea how much I would enjoy it in juice. Sort of a green Bloody Mary with a kick. Thanks, Shirley!